5/4/10 UPDATE: CONTEST ENDED — Thanks to each of you who participated. All of the following eighteen winners will be notified by e-mail. Early this week, our 10,000th viewer will read a story on FatherhoodChannel.com. To celebrate, we’re giving away an iPod Touch, five $25 gift cards for a date night at a popular national restaurant, and 12 $25 gift certificates good at the PAIRS Online Store. The winners will be the first 18 people to subscribe after we hit the 10,000th view, which could be any moment now! 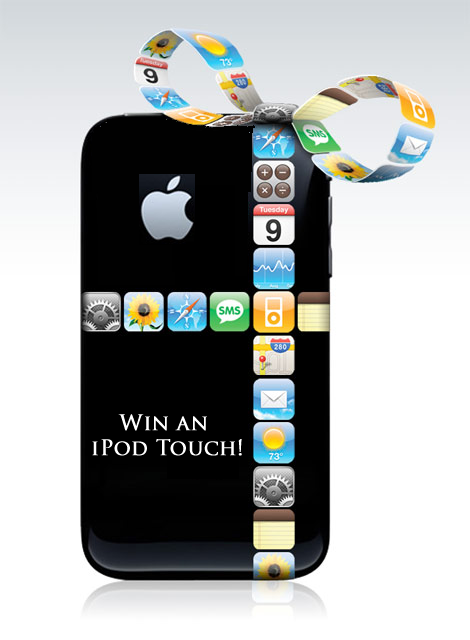 The first subscriber will win the iPod Touch, the next five will win $25 gift cards, and the next 12 will win the PAIRS $25 gift certificates. Enter your e-mail address in the box at the top right of FatherhoodChannel.com to subscribe and have a chance to win! There’s no cost or obligation involved. love your program, It helps me to make better choices on what kind of spouse I would love to be. Dios, los bendiga sigan adelante porque este mundo ncesita de gente como ustedes.